Welcome to the Canadian Custom Apparel website and services. Register and subscribe to special offers and use of galleries. Canadian Custom Apparel will only knowingly provide products or services to persons who can lawfully enter into and form contracts under applicable law. User acknowledges that Canadian Custom Apparel has no obligation to user to provide any training or other support in relation to the use or operation of the Website and/or services. Canadian Custom Apparel reserves the right to modify the organization, structure, content or "look and feel" of the Website and/or the services, and may change, suspend, or discontinue any aspect of the Website and/or the service at any time without notice or any liability to user or any person. Canadian Custom Apparel shall have complete discretion over the features, functions and other terms and conditions on which the Website and the service is made available. User acknowledges and agrees that Canadian Custom Apparel does not permit, authorise or condone and hereby expressly prohibits user from accessing or using the Website and/or the services in a manner that infringes, or is likely to infringe, the Intellectual Property Rights, or any other rights or privileges, of any person anywhere in the world. Subject to clause 5.2, user shall own any Intellectual Property Rights in any original material that it authors, designs or creates using the functionality provided by the Website. If the user chooses to add any item to a public gallery, In consideration of the authorisation granted under clause 4.1, User hereby grants to Canadian Custom Apparel an irrevocable, perpetual, non-exclusive, world-wide licence to do all acts and things (including to authorise other persons to do all acts and things) comprised within the said Intellectual Property Rights. User Account, Password, and Security You will receive a password and account designation upon completing the Site's registration process. You are responsible for maintaining the confidentiality of the password and account, and are fully responsible for all activities that occur under your password or account. You agree to (a) immediately notify Canadian Custom Apparel of any unauthorized use of your password or account or any other breach of security, and (b) ensure that you exit from your account at the end of each session. Canadian Custom Apparel cannot and will not be liable for any loss or damage arising from your failure to comply with this Section 6. Canadian Custom Apparel does not and cannot control the flow of data and information through the internet, and such flow depends on the performance of persons and entities whose actions or inactions may produce situations in which connections to the internet (or portions thereof) are impaired or disrupted and for which Canadian Custom Apparel is not liable. 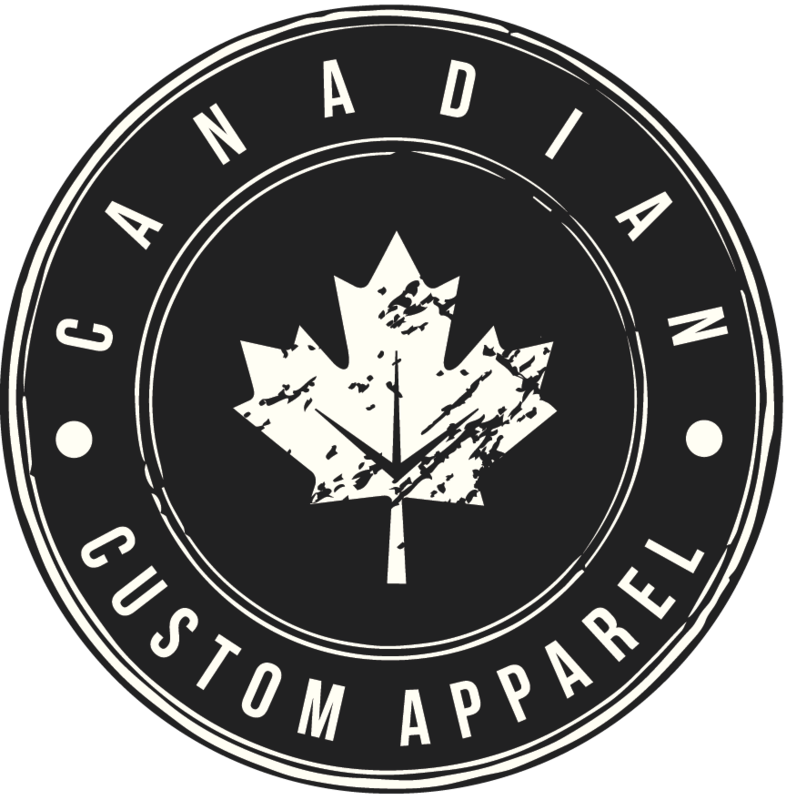 Canadian Custom Apparel does not warrant that any data, information or other content provided on the Website, whether concerning any goods or services or any other subject, is complete or accurate. SUBJECT ONLY TO CLAUSE 8.1, ALL CONDITIONS, WARRANTIES, REPRESENTATIONS, INDEMNITIES AND GUARANTEES WITH RESPECT TO THE WEBSITE AND/OR ANY OTHER GOODS OR SERVICES THAT MAY BE PROVIDED BY Canadian Custom Apparel, THAT WOULD OTHERWISE BE IMPLIED BY STATUTE, LAW, EQUITY, TRADE CUSTOM, PRIOR DEALINGS BETWEEN THE PARTIES OR OTHERWISE (INCLUDING ANY IMPLIED WARRANTY OF MERCHANTABILITY, SUITABILITY, FITNESS FOR PURPOSE, QUIET ENJOYMENT OR NON-INFRINGEMENT) ARE HEREBY EXPRESSLY EXCLUDED. (e) incidental, indirect, consequential, special, exemplary or punitive damages of any nature, whether such liability is asserted on the basis of common or civil law or in equity, including pursuant to any statute, contract, tort (including negligence or strict liability) or otherwise and notwithstanding that Canadian Custom Apparel has been advised of the possibility of any particular loss or damage. Canadian Custom Apparel may, in its sole and unfettered discretion, and without users consent, place links on the Website to other websites that are owned or operated by other persons. User acknowledges and agrees that Canadian Custom Apparel is not responsible for the operation of or content located on any such website, and Canadian Custom Apparel cannot and does not warrant that the content of such websites is accurate, complete, legal and/or inoffensive. By choosing to link to these other websites, user acknowledges and agrees that it may not make any claim against Canadian Custom Apparel for any damages or losses of any kind arising from the other website and/or the link.